Scientists from Sanford Burnham Prebys Medical Discovery Institute (SBP) in San Diego, California, have identified gene recombination in neurons that produces thousands of new gene variants within Alzheimer's disease brains. The study, published online on November 21, 2018 in Nature, reveals for the first time how the Alzheimer's-linked gene, APP (the gene coding for amyloid precursor protein--see image), is recombined by using the same type of enzyme found in HIV. The article is titled “Somatic APP Gene Recombination in Alzheimer’s Disease and Normal Neurons.” Using new analytical methods focused on single and multiple-cell samples, the researchers found that the APP gene, which produces the toxic beta amyloid proteins defining Alzheimer's disease, gives rise to novel gene variants in neurons--creating a genomic mosaic. The process required reverse transcription and reinsertion of the variants back into the original genome, producing permanent DNA sequence changes within the cell's DNA blueprint. "We used new approaches to study the APP gene, which gives rise to amyloid plaques, a pathological hallmark of the disease," says Jerold Chun, MD, PhD, , senior author of the paper and Professor and Senior Vice President of Neuroscience Drug Discovery at SBP. "Gene recombination was discovered as both a normal process for the brain and one that goes wrong in Alzheimer's disease." One hundred percent of the Alzheimer's disease brain samples contained an over-abundance of distinct APP gene variants, compared to samples from normal brains. Among these Alzheimer's-enriched variations, the scientists identified 11 single-nucleotide changes identical to known mutations in familial Alzheimer's disease--a very rare inherited form of the disorder. Although found in a mosaic pattern, the identical APP variants were observed in the most common form of Alzheimer's disease, further linking gene recombination in neurons to disease. "These findings may fundamentally change how we understand the brain and Alzheimer's disease," says Chun. "If we imagine DNA as a language that each cell uses to 'speak,' we found that in neurons, just a single word may produce many thousands of new, previously unrecognized words. This is a bit like a secret code embedded within our normal language that is decoded by gene recombination. The secret code is being used in healthy brains but also appears to be disrupted in Alzheimer's disease." The scientists found that the gene recombination process required an enzyme called reverse transcriptase(an enzyme that can transcribe DNA to RNA, the same type of enzyme HIV uses to infect cells. 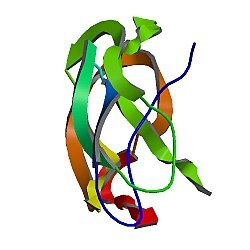 Although there is no medical evidence that HIV or AIDS causes Alzheimer's disease, existing FDA-approved antiretroviral therapies for HIV that block reverse transcriptase might also be able to halt the recombination process and could be explored as a new treatment for Alzheimer's disease. The scientists noted the relative absence of proven Alzheimer's disease in aging HIV patients on antiretroviral medication, supporting this possibility. "Our findings provide a scientific rationale for immediate clinical evaluation of HIV antiretroviral therapies in people with Alzheimer's disease," says Dr. Chun. "Such studies may also be valuable for high-risk populations, such as people with rare genetic forms of Alzheimer's disease." Adds first author Ming-Hsiang Lee, PhD, a research associate in the Chun laboratory, "Reverse transcriptase is an error-prone enzyme--meaning it makes lots of mistakes. This helps explain why copies of the APP gene are not accurate in Alzheimer's disease and how the diversity of DNA in the neurons is created." The amyloid hypothesis, or the theory that accumulation of a protein called beta-amyloid in the brain causes Alzheimer's disease, has driven Alzheimer's research to date. However, treatments that target beta-amyloid have notoriously failed in clinical trials. The new findings offer a potential answer to this mystery. "The thousands of APP gene variations in Alzheimer's disease provide a possible explanation for the failures of more than 400 clinical trials targeting single forms of beta-amyloid or involved enzymes," says Dr. Chun. "APP gene recombination in Alzheimer's disease may be producing many other genotoxic changes, as well as disease-related proteins, that were therapeutically missed in prior clinical trials. The functions of APP and beta-amyloid that are central to the amyloid hypothesis can now be re-evaluated in light of our gene recombination discovery." "Today's discovery is a step forward--but there is so much that we still don't know," says Dr. Chun. "We hope to evaluate gene recombination in more brains, in different parts of the brain and involving other recombined genes--in Alzheimer's disease, as well as other neurodegenerative and neurological diseases--and use this knowledge to design effective therapies targeting gene recombination." He adds, "It is important to note that none of this work would have been possible without the altruistic generosity of brain donors and their loving families, to whom we are most grateful. Their generosity is yielding fundamental insights into the brain, and is leading us toward developing new and effective ways of treating Alzheimer's disease and possibly other brain disorders--potentially helping millions of people. There is much more important work to be done." Alzheimer's disease is a public health crisis. The cause of the disease remains unknown--and no meaningful treatment exists. Nearly six million people in the US are currently living with Alzheimer's disease, a number projected to reach 14 million by 2060 as the population ages. The annual health care system costs to care for people with the disease exceeds a quarter of a trillion dollars, according to the Alzheimer's Association. The disease also places high burdens on family members, as caregivers of individuals with dementia report substantial emotional, financial, and physical difficulties. The co-second authors of the study are Ben Siddoway, PhD (SBP); Gwen Kaeser, PhD (SBP and UC San Diego); and Igor Segota, PhD (SBP). Additional authors include: Richard Rivera, PhD; William J. Romanow, PhD; Grace Kennedy; and Tao Long, PhD, of SBP; and Christine S. Liu and Chris Park of SBP and UC San Diego. The study's DOI is 10.1038/s41586-018-0718-6. Sanford Burnham Prebys Medical Discovery Institute (SBP) is an independent nonprofit medical research organization that conducts world-class, collaborative, biological research and translates its discoveries for the benefit of patients. SBP focuses its research on cancer, immunity, neurodegeneration, metabolic disorders, and rare children's diseases. The Institute invests in talent, technology, and partnerships to accelerate the translation of laboratory discoveries that will have the greatest impact on patients. Recognized for its NCI-designated Cancer Center and the Conrad Prebys Center for Chemical Genomics, SBP employs nearly 900 scientists and staff in San Diego (La Jolla), California. For more information, visit us at SBPdiscovery.org or on Facebook at facebook.com/SBPdiscovery and on Twitter @SBPdiscovery.